Bernadette Hall was born in Alexandra, Central Otago. She grew up in Dunedin and attended Otago University, where she gained an MA in Latin. She lives at Amberley Beach at the top end of Pegasus Bay, in the Hurunui, North Canterbury with her husband, John. For many years she taught Latin, Classical Studies and English in a number of high schools in Dunedin and then in Christchurch. Best known for her poetry, she is also an award-winning playwright. Her short fiction has appeared in Sport and been produced on National Radio. She has performed her work at festivals throughout New Zealand, in Hobart, in Iowa and in New York. In 2012 she was a guest reader at the Christchurch Writers’ Festival, the Christchurch Ice Fest and at the wharewaka in Wellington with the Poet Laureates Andrew Motion, Ian Wedde and Bill Manhire, courtesy of the National Library. She is highly regarded as a teacher of Creative Writing and in 2008 co-founded the Hagley Writers’ Institute in Christchurch. She is currently the Patron of the Institute. She has published ten collections of poetry, the most recent being Life & Customs (2013). In the same year, The Judas Tree, her edition of selected poems by the late Christchurch poet, Lorna Staveley Anker, was published by Canterbury University Press. She edited Like Love Poems: selected poems by Joanna Margaret Paul (2006) and the online anthology Best New Zealand Poems 2011. With James Norcliffe, she co-edited Big Sky: a collection of Canterbury poems (2002). Her ninth collection, The Lustre Jug, was a finalist in the New Zealand Post Book Awards 2010. Previous books include The Persistent Levitator, a finalist in the New Zealand Book Awards 1995; and Settler Dreaming, a finalist for the Tasmania Pacific Region Poetry Prize 2003. The Ponies was released in 2007. These last two and her own selected poems The Merino Princess (2004) feature artwork by the Dunedin artist Kathryn Madill, with whom Hall shared an Artist in Antarctica Award in 2004. 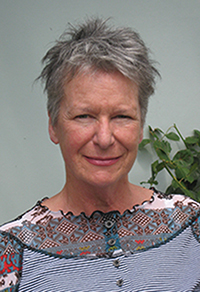 Bernadette has held the Robert Burns Fellowship (1996) and two other university writing residencies, at Canterbury University in 1991 and at Victoria University in 2006. In 1997 she took part in the International Writers’ Programme in Iowa, USA. In 2007 she held the Rathcoola Residency in Cork, Ireland. Her poems have been included in Best NZ Poems on six occasions: 'The Lay Sister' 2001; 'The History Of Europe' 2005; 'The White Dress' 2006; 'Under Erebus' 2007; 'Leda at the Bilabong' 2008; 'The Fox' 2009. She has collaborated with the composers Chris Cree Brown, Chris Archer and Anthony Ritchie. The latter’s ‘Stations Symphony’, using text from Hall’s poems, ‘The Way of the Cross’ premiered in Christchurch on 22 February, 2014, the anniversary of the major Christchurch earthquake in 2011.